Lori Wick's bestselling English Garden series (more than 720,000 copies sold) is filled with engaging characters and stories. 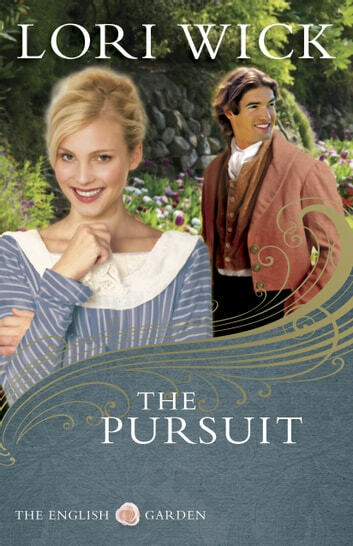 Now with fresh, new covers, each of the four books in the series will hold a favorite spot on the nightstand or bookshelf of any reader who loves a great romance.The Pursuit, book four in the series, is set in the spring of 1812, in Collingbourne, England. Edward Steele has enjoyed a great adventure in Africa with his brother, Henry. Now Henry has returned to England, and Edward is ready to follow. However, on his way home, he tells two strangers he will help them, and he stands by that promise. Little does he know that meeting these two men will delay his return, lead him to encounter a woman who captivates him, and change his life forever.Rerelease with new cover.